The other day, I just finished teaching my yoga class when one of my students approached and needed a sympathetic ear and some feedback. I knew that my yoga student, Tim, worked as a waiter in a busy restaurant and was often challenged at the task. I was happy to listen to his thoughts, as Tim said: “Wow dude, I am totally burned out and tired of my stressful job, I’m definitely going to quit, for sure, this is way happening, man”. I then asked what type of job would replace his waiter job and Tim said: “Ok yeah, I had a sweet vision of becoming a cool yoga teacher; no worries, no hurries, just cruise a sweet practice every day and make some easy dinero, dude. My new job, a yoga teacher man – I totally feel the vibe, this is definitely the bliss path for sure, dude”. As many new teachers have found, being a yoga teacher can often be an extremely rewarding and fulfilling career choice, or even as a part-time job, yoga can be a new lease on life. However, much like Tim’s job as a waiter where the customers in the restaurant just see the relaxing atmosphere, the great food, and the comfortable environment and think, “Wow what a great way to make a living”, teaching yoga is not always what it seems. Outsiders do not see the workload, immense effort, and behind the scenes hours to keep the business running and afloat. As a Yoga teacher, you are still working, and ultimately, a servant to the people; you are the guardian angel for the physical and mental well-being of your students. Yoga teachers are many times challenged by long hours and less personal practice time, a demanding physical load and trying to make a profit in their business. Not to mention balancing your personal relationships and family life on the side. No worries, take a deep breath and relax–fortunately, there is a way to keep your batteries charged as a yoga teacher, make a living, and save your personal life, too! The solution to keeping your batteries charged will be found within, educating yourself on yoga as a business, and taking things one step at a time, managing your work load and the art of delegating. Other helpful tips for staying energized as a yoga teacher will be found by cross-training with nature and incorporating a healthy diet, speaking to and training with other teachers in your field or similar lifestyles, a nice massage, and finding time to love and be loved. There are many different areas the fall under the category of yoga teacher, such as teaching for someone else, teaching freelance, and working as a private yoga instructor. Other teachers may want to open their own studio or teach yoga seminars. Before you dash off into a yoga teaching career, it is best to do some research and study into the topic of yoga as business. In today’s yoga market, you will find many helpful documents, books, cd’s and DVD’s that specifically address the Yoga business. Try the internet, the local book store, and especially visit other yoga under based business in your area, as to get an idea of what to expect. In any business, you will prosper by trying not to take on too much physical and mental work at one time. It’s much like going out to a great dinner in a nice restaurant then deciding to order the nice all-you-can-eat buffet. Everything looks so tasty, colorful, and attractive – so you put way too much on your plate and later on wish had picked just a few things. In your yoga teaching business, take on a few simple easy to handle task and a light load, such as teaching one class and talking to the students. If that goes well, you might consider expanding your classes and other duties bit by bit, so as to not shock yourself with the physical and mental load. Try to limit your nightlife and social activities, to a manageable level, so you can still find time for adequate sleep and relaxation. As you expand in your yoga teaching business, one great way to help out with the workload is to delegate some of your duties on a work exchange basis. This is quite common and always easy to find someone who wants a free class in exchange for physical or mental labor. The assistant could be checking students in, sweeping, mopping or laying out yoga mats. If all your other bases are covered – they can pass out flyers or brochures for your classes and drum up some needed business. When you start teaching more classes and giving more lectures, inevitably one day you will find yourself physically exhausted, worn out and mentally drained. Sounds funny, don’t you think?Talking about being physically and mentally exhausted in the same sentence with yoga. But with some light cross training and a visit with mother nature, you will be more chipper and spry in no time. As wonderful as yoga is, you will find it very beneficial to step off the mat now and then and try some different types of exercise, especially with nature, fresh air, and the great outdoors. No matter how much you love yoga, you will find it welcome break in the routine to embrace some different types of exercise in the fresh air. As an alternative to yoga I enjoy hiking, biking, walking, and surfing – you might like something different such as dance, sports, or playing stick with your dog. It is not the specific activity, but the vacation for the norm, that will reward you with a new refreshed vision, ready to teach again. There is nothing in the world more revitalizing for a body low on energy than a nice massage, or even a facial and a hot shower. You are in luck, because many body workers also have an interest in yoga as well, so you will have a great shot at making nice trade, yoga for massage. Choose your favorite style – since massage runs a bit higher than your average drop-in yoga class, you can do one of two things: offer a private, or semi-private session, or a series of classes, as a trade. With all the popularity of yoga these days, you will find it easy enough to locate another teacher, or group of teachers, that you can confide in and exchange ideas, tips, and solutions for keeping your energy level going strong. Taking a class from another teacher is also an amazing way to recharge your batteries, and restore your mental clarity, with no responsibility, no game plan, just follow the teachers instructions and you are on the path to bliss. Some teachers might be in to a trade, if not, then no worries! It’s well worth the small fee for a new lease on life. If you need more extensive recharge, try attending a yoga workshop with a visiting teacher. One of the very best things for short term and long term energy is to embrace an enhanced diet and nutrition program. Eat living healthy foods in their natural state. Junk food and sugar are only a temporary fix, and will leave you flat on your face when the high wears off. I know many teachers live on coffee and stimulants, yet take a lesson for the wise – be the light, be the one who inspires others to a healthy vibrant energy level. You may also try nutritional smoothies with fresh greens and nuts or seeds, plus, in your local health shop, seek out a product called “amazing grass” it comes in packets, or larger containers. This is a nutritionally high combination of a long list of super foods and nutritional grasses, enzymes and probiotics – you will find it in many flavors. Just add to juice or smoothie and off you go. Make time in your busy schedule to allow yourself to love and be loved – in whatever context that means to you. Can be as simple as a nice foot massage, quite conversation, and a candlelit dinner or spending more quality time with your spouse, partner, or lover, this is all essential for having a balance in your life. If you work too much and are not available in off times, you may wake up one day and realize you are alone and wonder what happened. It is not possible to give daily attention and compassion to all our students and then have none for your self – seek the balance and you will prosper. Giving to others is to give to your own true self. Teachers embrace a noble cause. Nurture your flow, strengthen your body and mind, and revolutionize your yoga practice. 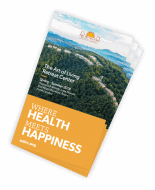 Doug Swenson teaches Mastering the Secrets of Yoga at the Art of Living Retreat Center from April 3-7, 2019. 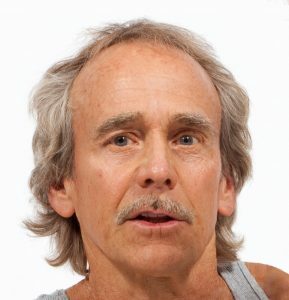 Doug Swenson is a world-renowned yoga teacher and has been a true pioneer of yoga practice in the United States and further afield for over forty years. He has authored three books on yoga and twenty yoga videos on the well-known online spirituality platform, Gaia. Doug teaches with clarity of words and weaves informative wisdom mindfully throughout his teachings.